Oh good old taxes..!! In AND CO we are always looking at ways to help you deal with them! 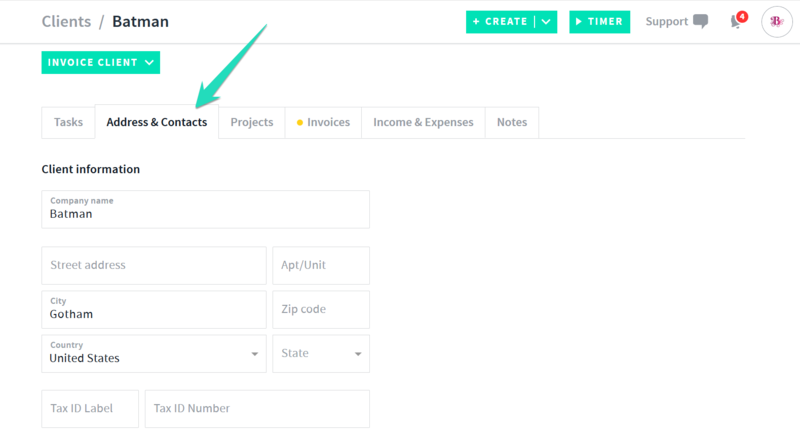 Now, you can add your clients Registered Tax ID Label and Rate to make sure your invoices meet all your clients' legal tax requirements! To start, select the clients tab via the web-app and select the client you would like to add the Tax ID Label & Rate to. Then click on the Address & Contacts tab! 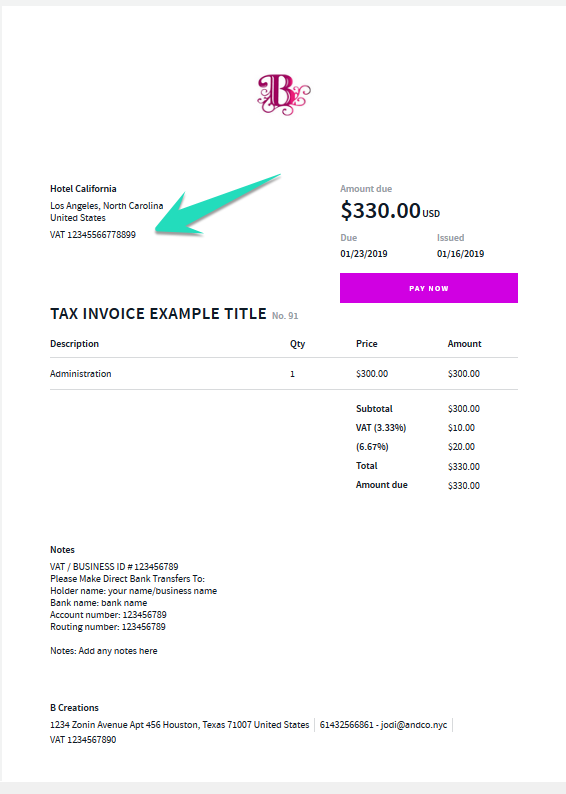 Here you will be able to add a value to your client’s Tax ID Label and to your client’s Tax ID Number. 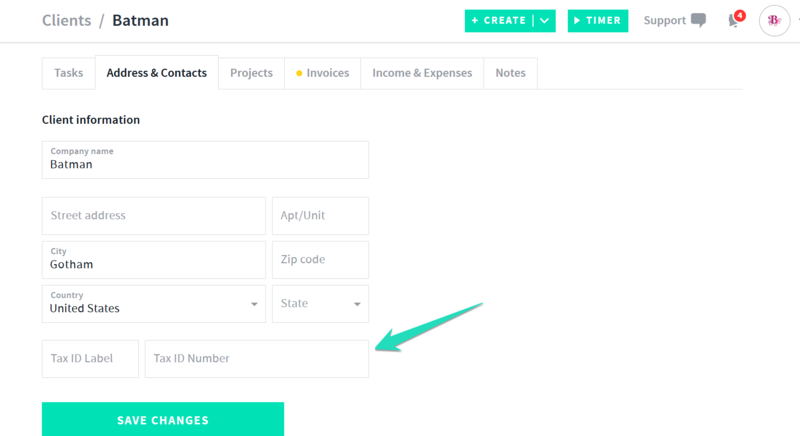 Once you click Save Changes, this information will appear as a default in all your invoices to this client!